The following is a list of Contractors that have used 1-800Drywall for their drywall and insulation needs. 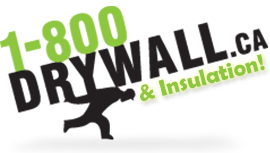 1-800 Drywall is Canada’s trusted online drywall and insulation supplier. For more information on ceiling drywall, drywall taping, batt insulation browse our drywall insulation product catalogue to see the highest quality products in the market place.